October is nearly done .. high season is nearly here! 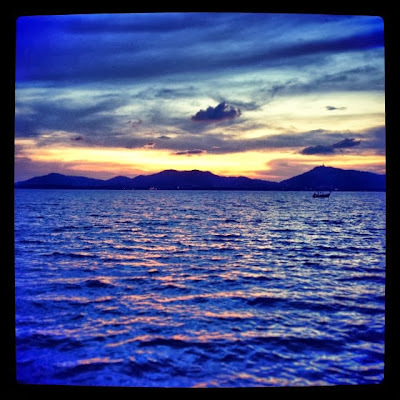 And "Like" the Phuket Blog on Facebook, thanks! Also updated daily! 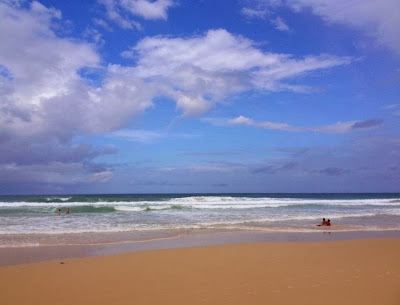 "At Karon Beach #Phuket this morning ... Sunny and sea is getting calmer too." (above) At Karon Beach, 10th October. The vegetarian festival was still on, but I did not wake up early on the 10th. Lovely sunny morning, I was in Phuket Town by 7am for the street procession from Jui Tui shrine. Lots of interesting face piercings and lots of firecrackers! 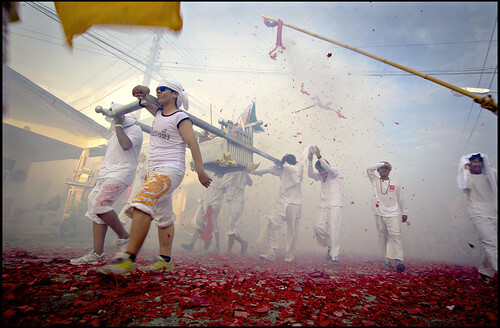 A lot more pictures and details on the Phuket blog : Phuket Vegetarian Festival 2013 (Part 1). And on the 12th, another sunny morning .. well, it was not sunny when I woke up, as I woke up before sunrise to visit Kathu shrine nice and early and watch some grizzly face piercing taking place. 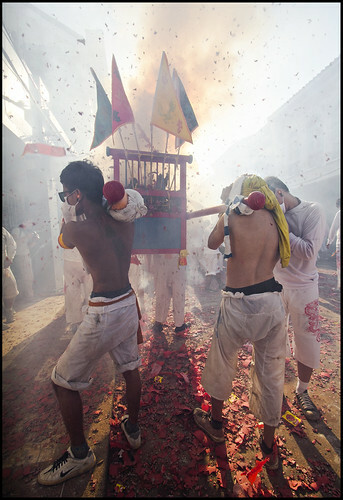 More photos and blog post about the Kathu shrine procession : Phuket Veg Festival 2013 Part II. Was a hot, hot day! On the 13th ... "Phuket weather today - sunny, quite a bit of dark cloud around, would not be surprised to see some isolated thundershowers." Just about now, the winds are changing. The stronger southwest winds have stopped and with little wind, hot days and high humidity there is always a chance of a quick thunderstorm lasting 20 - 30 minutes. Maybe an hour, and then sun again! A lovely sunny day, photo above I put on Instagram which is a good way to quickly share the weather, so do follow me please if you are an Instagram user! 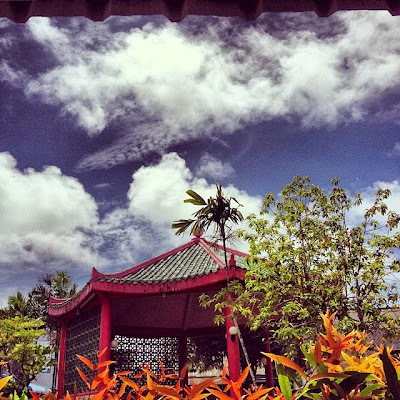 October 15th, on Twitter I said "It's lovely and sunny in Phuket today :)" so I guess it was lovely and sunny! October 16th "Some light rain in the air early this morning, sun is now burning through." and in the night there was a huge fire at the enormous Supercheap store north of Phuket Town, which is/was a big warehouse style store, no aircon, rather basic construction, but cheap. Amazingly seems like nobody died, though the store was completely destroyed. October 17th "Phuket weather this morning, hazy, cloudy, warm. Not sure if the dark cloud to my east is cloud or smoke from the Supercheap fire!" (only a few km as the crow flies from my house). 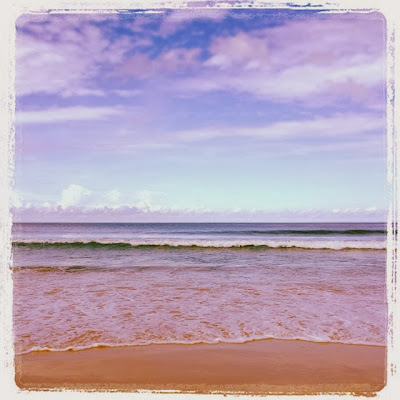 October 18th "Sunny morning and almost calm seas at Karon beach"
And a reminder - you can check any time what the weather is like here, at least during daylight hours - check the webcam at Karon Beach on this blog .. or the webcam at Patong Beach. And on the 18th, all the family came back from the in-laws in Chumphon, so we had a dinner by the sea at The Beach Bar, Cape Panwa. 19th October ... and this actually was a day off ... but the weather ... "Grey start to the day ... and we had nearly 50mm of rain last night. Sunny all week when I am working. Saturday grey and damp.". My day off! Sun please! 20th October .. also not the best "Light rain falling at Karon Beach, rather a grey day here in Phuket." "Looks like it'll be a sunny day here. No wind, season changing." but later "Weather update, I was wrong, not a sunny day .. mostly grey and drizzly." Again, not really bad weather, a day out would still be good! But in October you can get some wet days for sure! The sunnier weather really starts when a northeast wind comes a long and blows the clouds away. Soon! But importantly for things like diving and days out on the water - there is almost no wind, so that means nice calm seas. See you in Phuket soon! If you're coming soon - need a hotel? Have a look at Agoda.com for online booking.